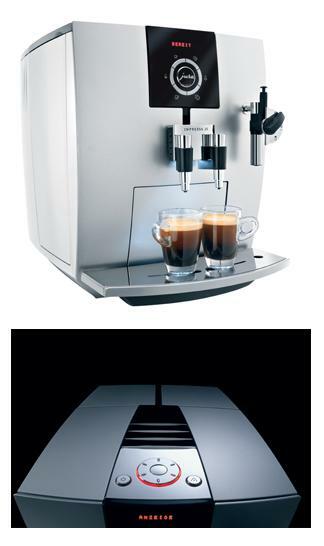 The Jura J-Line is the new generation of consumer coffee machines. Female basic forms are paired with clear geometry. The symmetric arrangement of the housing structures the equipment and runs consistently through the entire object. With this structure the consumer receives firstly with coffee machines the opportunity to choose housing colors in an exclusive range of colours individually. New features are the fully in height and width adjustable coffee outlet , new designed control elements and the accessories integrated in the lids.